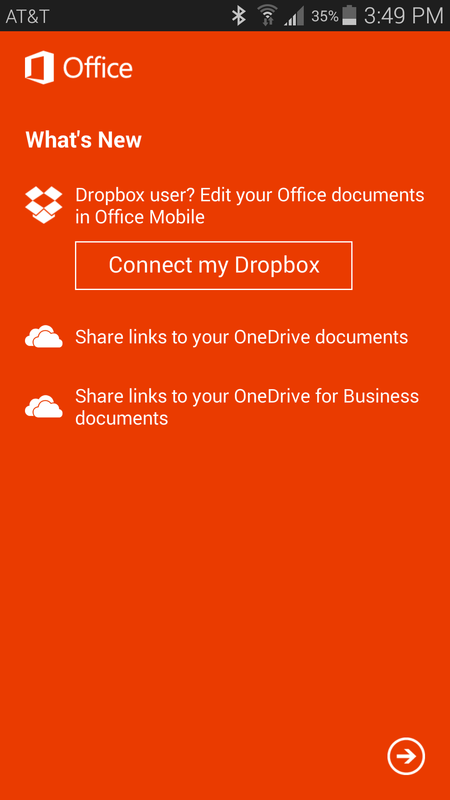 Follow these instructions to download and use the Office 365 app for your Android phone. 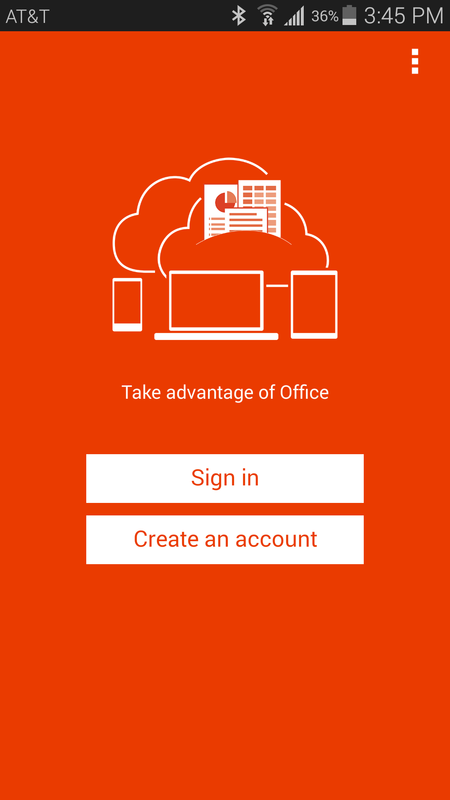 The Office Mobile app lets you view, edit, and share Office Word, Excel, and PowerPoint documents as well as create Word and Excel Documents. Requires Android 4.0 or later. 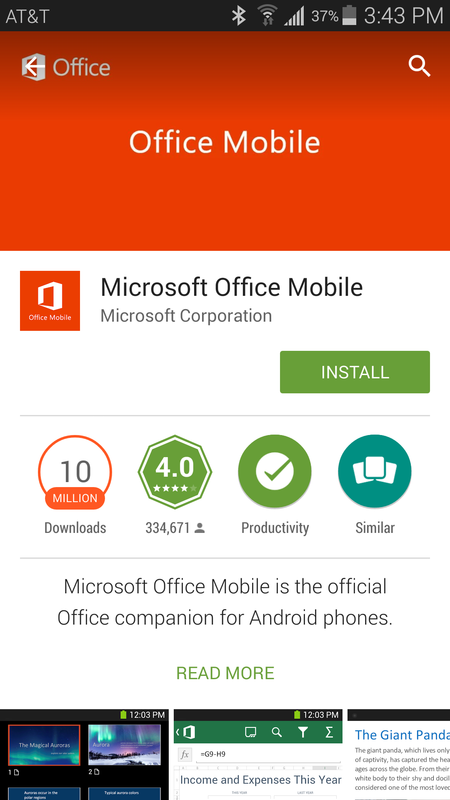 Go to the Google Play store, search for Microsoft Office Mobile, and download the app. After the app downloads, open it and tap Sign In. 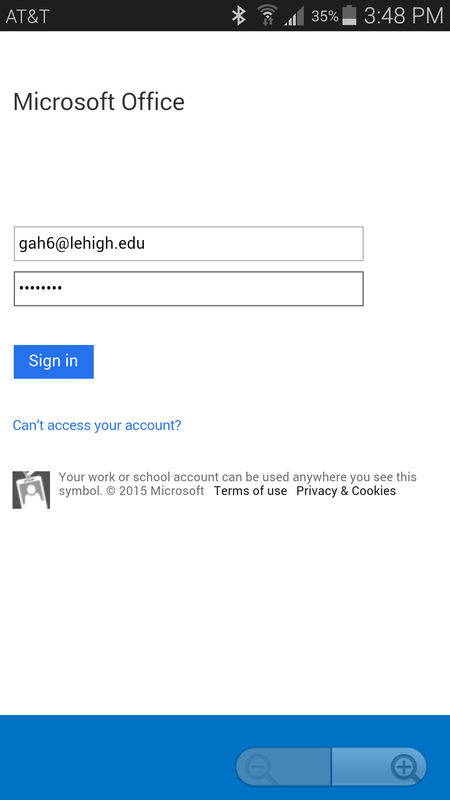 Enter your full Lehigh University email address and tap Next. 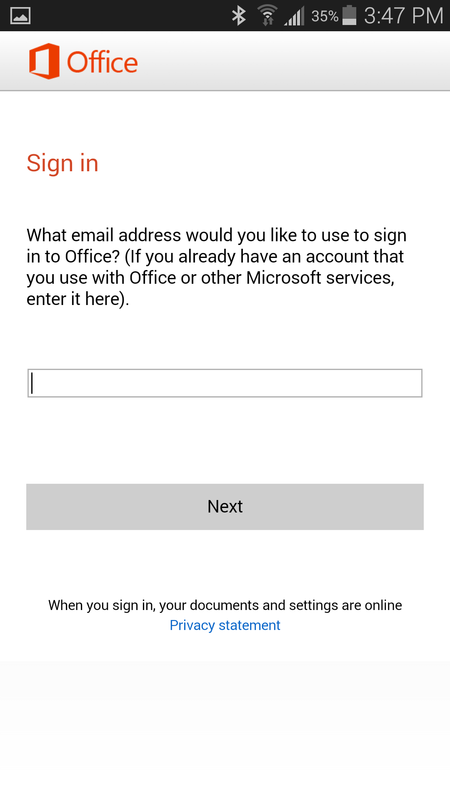 Enter the password you created for your Lehigh Office 365 account and tap Sign in. After the app authenticates, you'll see this screen. 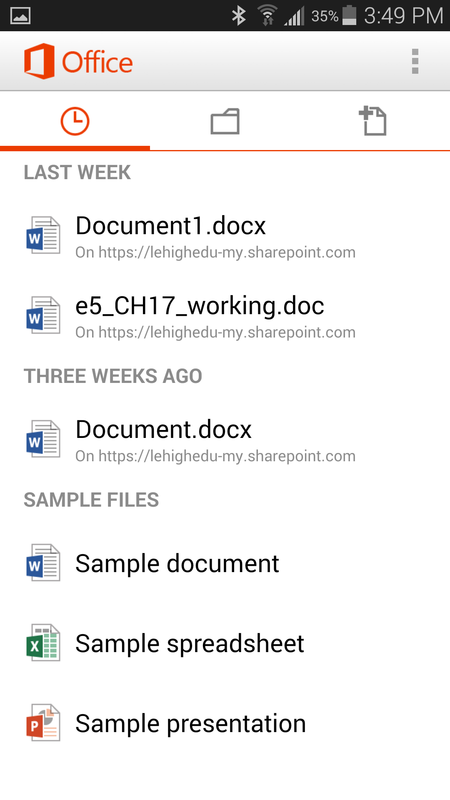 Tap the right arrow to see your documents list.